Jodi White Jones joined the College of Urban Planning and Public Affairs at the University of Illinois at Chicago in February 2000. As assistant dean for communications she oversees all aspects of CUPPA internal and external communication including branding, reputation management, print and electronic/digital publications, social media, the college web site, building signage systems, branding and recruitment videos, CUPPA career and internship blogs, public and media relations in conjunction with the UIC Office of Public Affairs, and CUPPA Commencement. Jodi came to UIC in 1997 to establish a marketing communication division in the UIC Office of Publications Services after working in the national advertising agency arena. 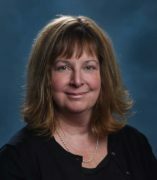 At UIC, she consulted, implemented, and managed campus-wide marketing efforts in the areas of administrative services including campus parking and telecommunications, the university print shop, university mail services, academic program promotion, student recruitment, and chancellor's special projects. Jodi currently serves the university on the Campus Web Advisory Board, the UIC Institutional Marketing Committee, numerous search and staff committees, and previously on the board of the Green Campus Council and on the board of the former Scholarship Association for UIC. She is past president of the International Association of Business Communicators Tulsa, and past board and current member of the International Association of Business Communicators Chicago. Jodi is also a member of the Council for Advancement and Support for Education. She has lectured to various groups including the National Association of Legal Secretaries in the area of public relations. Jodi has received three Communicator Awards for print publications, three Community Service Awards from the American Society of Association Executives, bylines in the Tulsa World newspaper for real estate related stories, was the American Society of Public Administration Chicago Chapter’s outstanding student of the year, and is a member of the Pi Alpha Alpha National Honor Society. Find more information on CUPPA Communications here.